California has a love of home design, so it’s no wonder that you can find furniture stores filled with treasure troves throughout the Golden State. From modern design styles that border on futuristic to antiques, contemporary and other creative modalities, you can find furniture stores that cater to them all. Check out some of the best furniture stores in California for great shopping and great pieces to fill your home. As the oldest mid-century modern store in the area, Modern Way is a must visit destination for design lovers. It has been featured in many shows and articles and remains a leading spot to find unique gems and rare pieces. Revivals Stores desert location is a favorite with locals looking for hard to find items, like cushions for vintage furniture. It also functions as a thrift store but with knowledgeable staff to help you find the perfect items on your furniture quest. The Future Perfect in San Francisco is futuristic and modern but includes many careful and thoughtful designs that make furniture appear to be functional works of art. You can shop showrooms in Los Angeles and New York but each store offers a unique style that fits in perfectly with its surrounding city. BaBoo is a home design boutique that features unique items, art pieces, furnishings and other simple but beautiful items. Carefully curated by the shop’s owner, many pieces tell a story or have a unique background that fit well into curating conversation at home. If you’re furniture shopping in LA, then HD Buttercup is a must-stop. The expansive store includes modern, vintage and antique pieces and is favorite with locals as well as the home designers you see on TV. The store has items for every room to create a trendy, curated look. Located in hip Echo Park, Amsterdam Modern is a spacious warehouse filled with modern pieces. The stock is constantly updated and rotated thanks to the owner’s frequent trips to Amsterdam to pick up new items for customers that include everyone from local families to set designers and professionals. 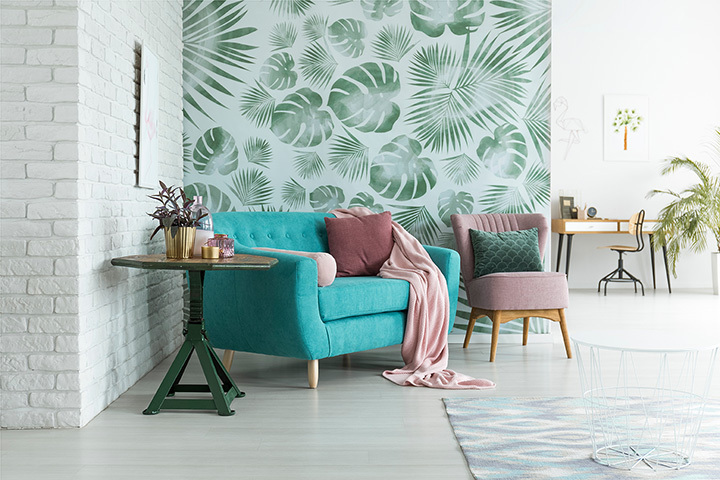 Atmosphere Interiors has a vast selection of home and office décor and furnishings that includes interesting styles with a balance of everyday practicality. They offer custom design options so that you can style your place to suit you. Gold Bug in Pasadena isn’t your average antiques mall. The shop if filled with curious finds from days of yore including everything from jewelry to furniture and creative ways to display it. Many pieces feature natural biology and walk the line between old-school curious and modern day weird. Spend the day exploring and then take home a new friend. Weego Home is the vision of a young man with a long family history in furniture and home design. Taking his understanding of manufacturing, Weego Home has become a fixture in Santa Monica and the surrounding area thanks to the custom design process and dedication to quality. Blu Dot offers friendly customer service to help you select the best modern furniture for your needs. With pieces for every room, there are also accessories, linens and other items so that you can shop for your entire home all at once.